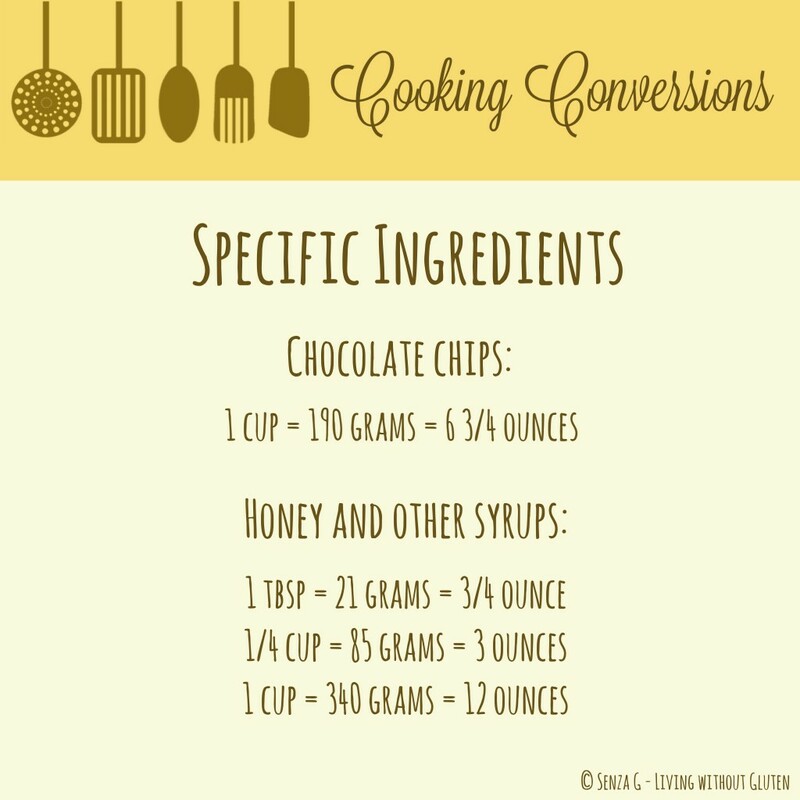 How many times did you start trying out some new recipe and find that some ingredients are in cups, some in grams and/or tablespoons and you have to search on the Internet for a converter or go through one of your cookbooks? 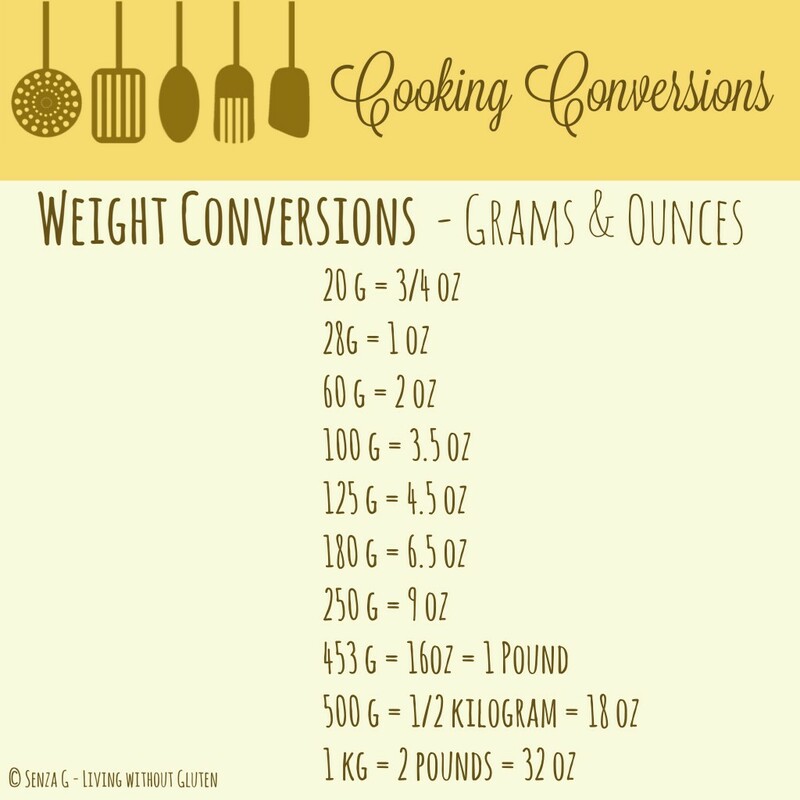 Although we have a built-in converter on this site to assist you whilst you are trying out our recipes, to make things even easier for you, we have prepared some basic, common measurements and conversions in table form for quick reference. 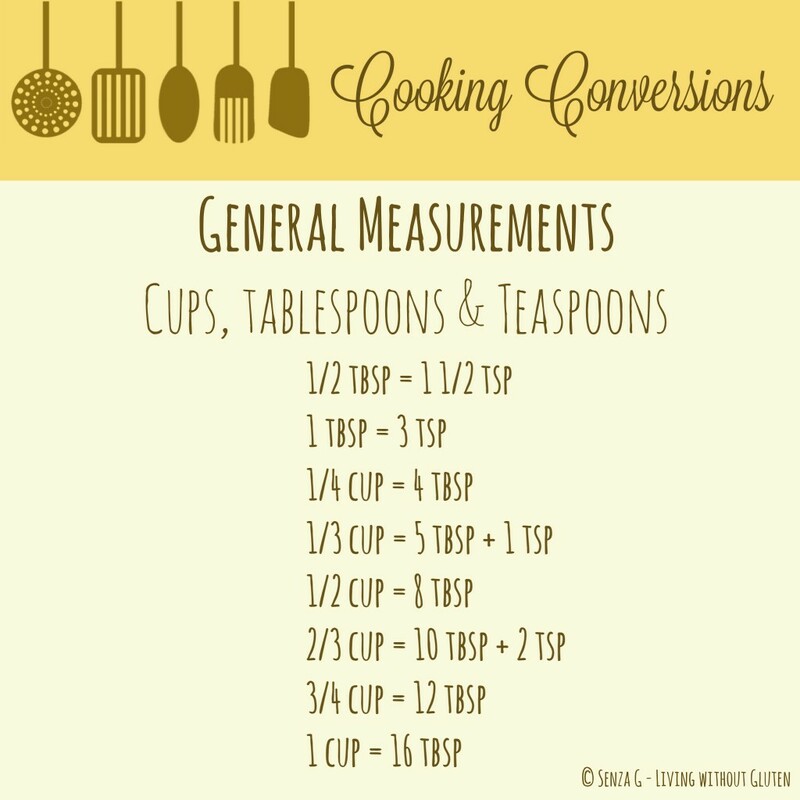 You will notice that there are measurements in cups, grams, liters and also ounces since cup measurements especially vary in the US, UK and Australia. 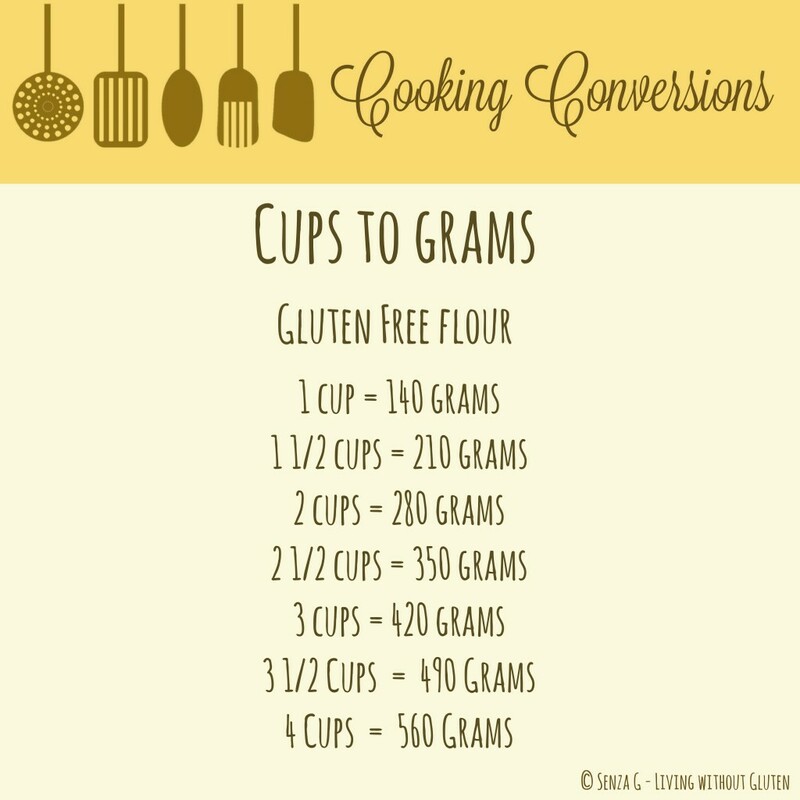 I would recommend working in grams rather than cups especially for gf recipes since using volumetric cup measures is extremely inaccurate for compressible foods like gluten free flours. 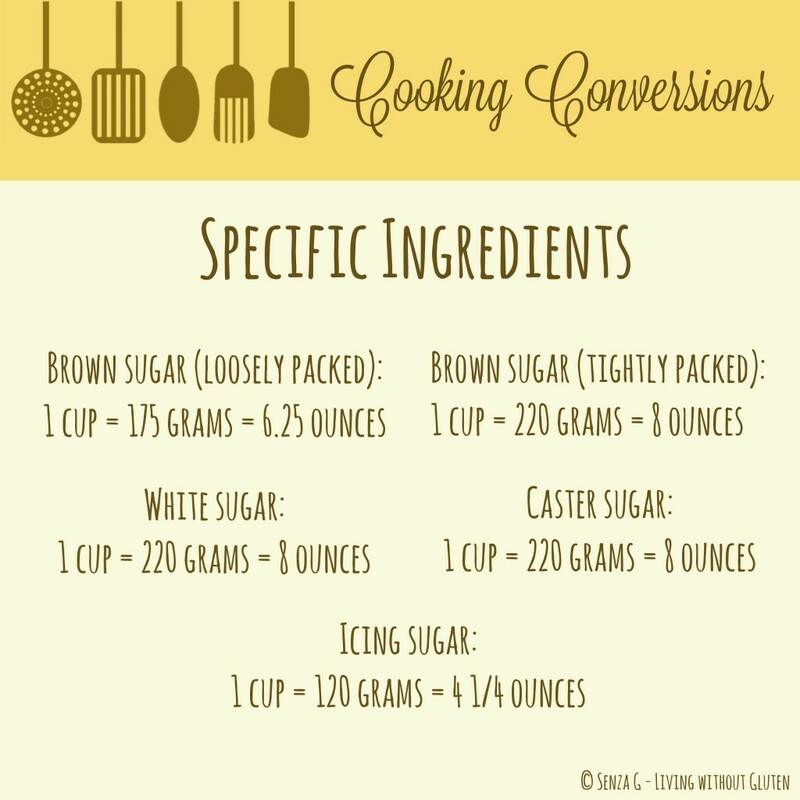 Depending on your scooping or sifting method, as well as the texture of the flour used, a cup of flour can weigh anywhere between 125 to 160 g! 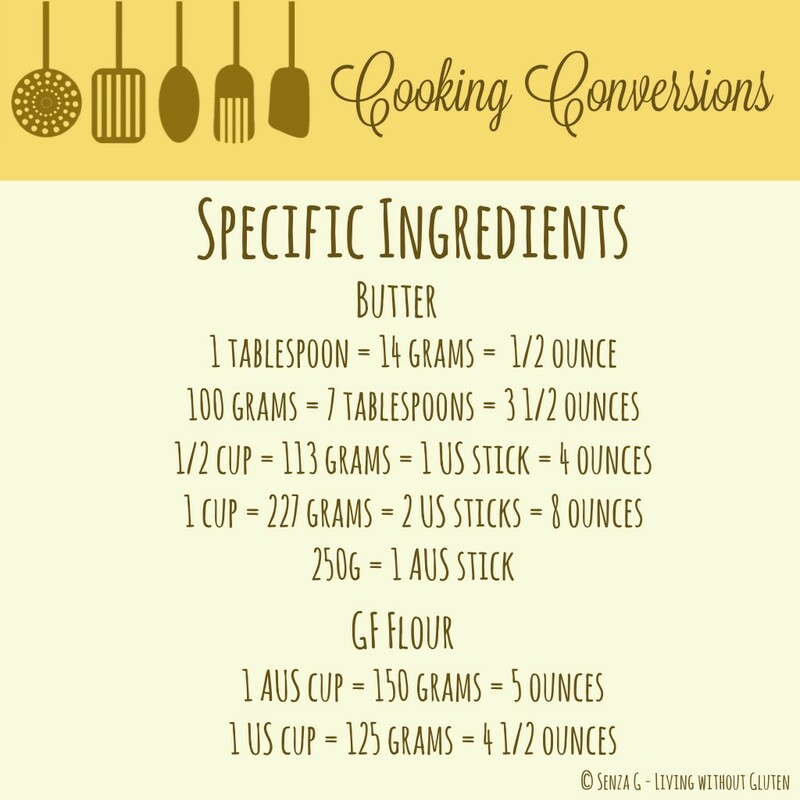 And then you wonder how come the baked product did not turn out as it looks on the recipe or why whenever you make it, it always comes out different! With digital scales, on the other hand, you know that your cup of flour is exactly the same, time after time, giving you consistent results. 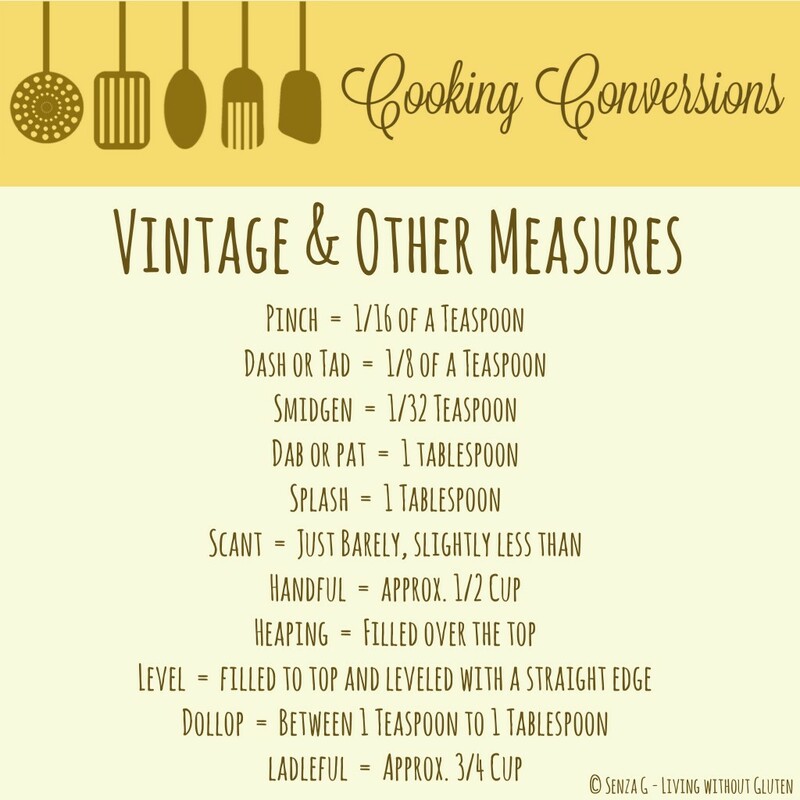 Below in the table are the equivalents of standard US and Australian cup measures in grams. 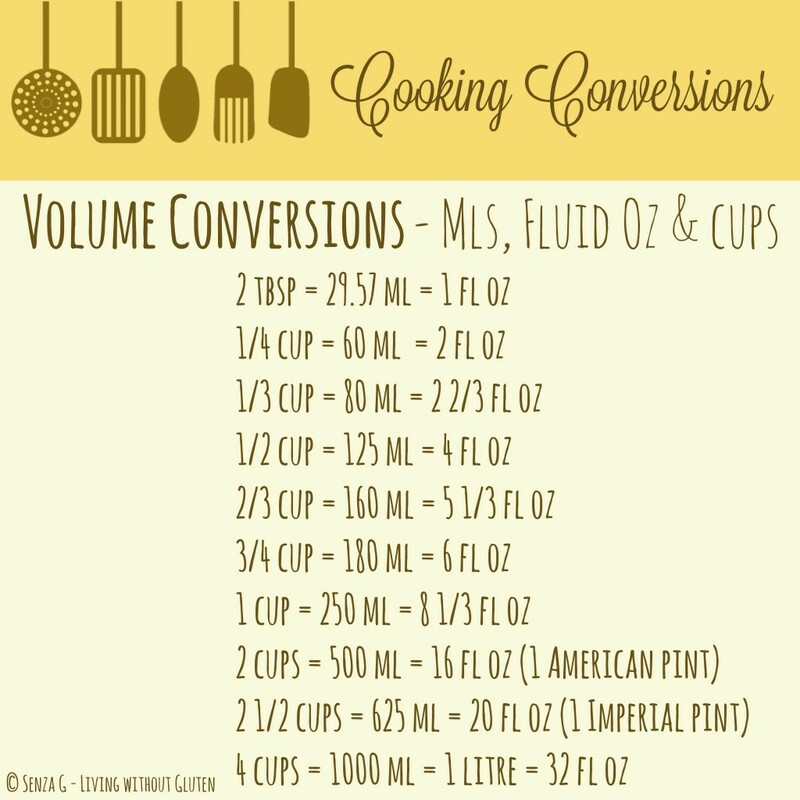 My GF standard conversion however, for one cup GF flour is 140g. 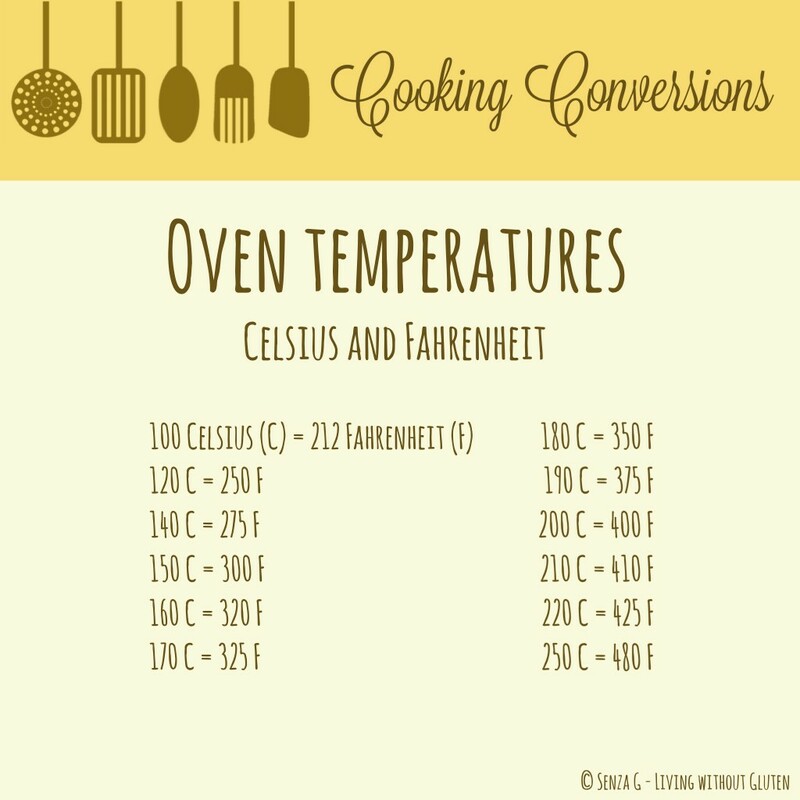 So for those who hate math and calculations, I have also prepared a table (last table) to make it even easier for you!